A life-sized zebra sculpture that was stolen from Southampton, Hampshire, has been found and reunited with the wildlife charity that owns it. Marwell Wildlife's multi-coloured zebra, known as "Gilbert", was taken from the back of a truck in the Bassett area of the city on Wednesday. 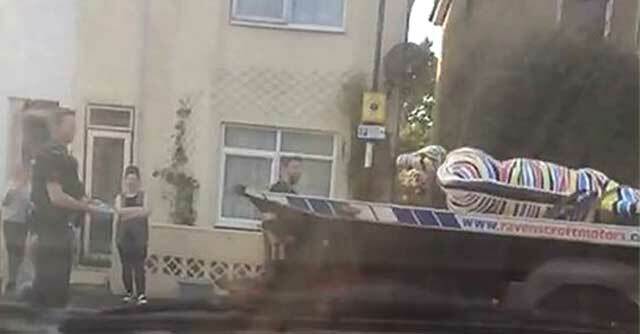 Police said it was found in a back garden in Shirley. It is due to form part of an art trail in the city with 149 other zebras from 16 July. 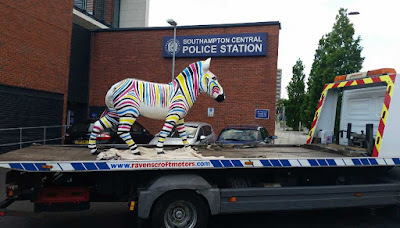 Hampshire Constabulary, which had been investigating the theft of the fibre glass zebra, said inquiries were ongoing to establish how it came to be in Shirley, but no arrests had been made. 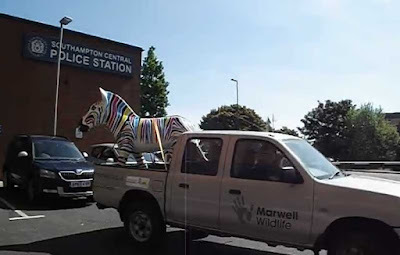 A post on Marwell Wildlife's Zany Zebras Facebook page said: "Gilbert is home and dry!" 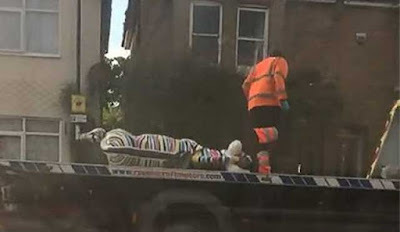 It added: "We are so grateful to everyone for their support and everyone who called with sightings, and want to thank Redbridge Neighbourhood Beat for reuniting him with us." 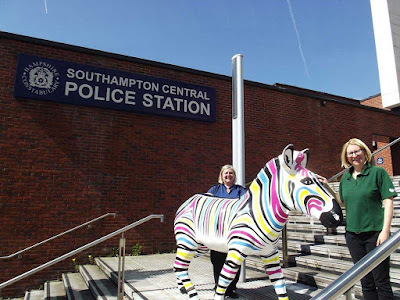 The trail sculptures, many of which are currently in storage or being painted, will be auctioned in October, with funds raised going to the charity.